The telephone was invented by Alexander Graham Bell. There is no clear evidence of the origin of the word 'telephone'. It is believed that the word telephone is derived from two Greek words, 'tele' meaning 'far', and 'phone' meaning 'sound'. The telephone is the most popular and widely used means of communication, that has literally changed the world and brought it closer. There have been numerous modifications in the structure and design of the telephone since the time it was first made. Today, you find it in attractive designs, models and colors. Even though cell phones and wireless technology are more applicable today, a wired telephone can still be found in many places. The history and creation of the telephone is quite interesting. 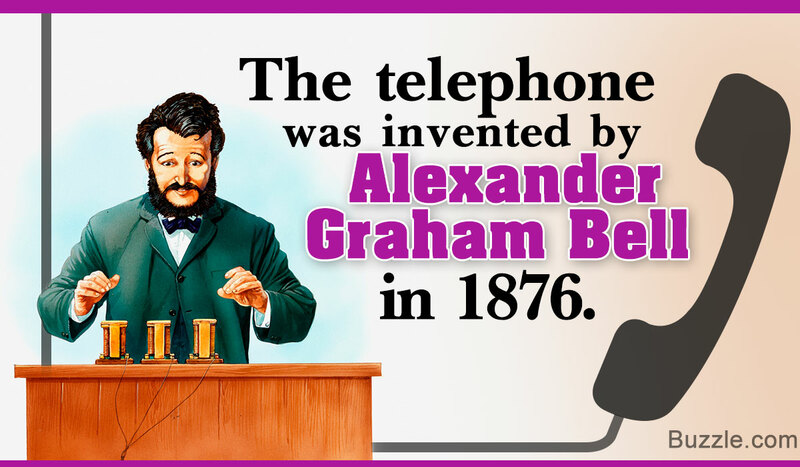 Although Alexander Graham Bell actually created the model of the telephone, it was based on many other inventions by famous scientists all over the world. Antonio Meucci, an Italian scientist, also made an early version of the telephone and demonstrated it in Havana. He even filed for a patent for his model. However, due to lack of his business abilities, he failed to commercialize his model. Even today, Meucci is credited with the invention of the telephone by many. 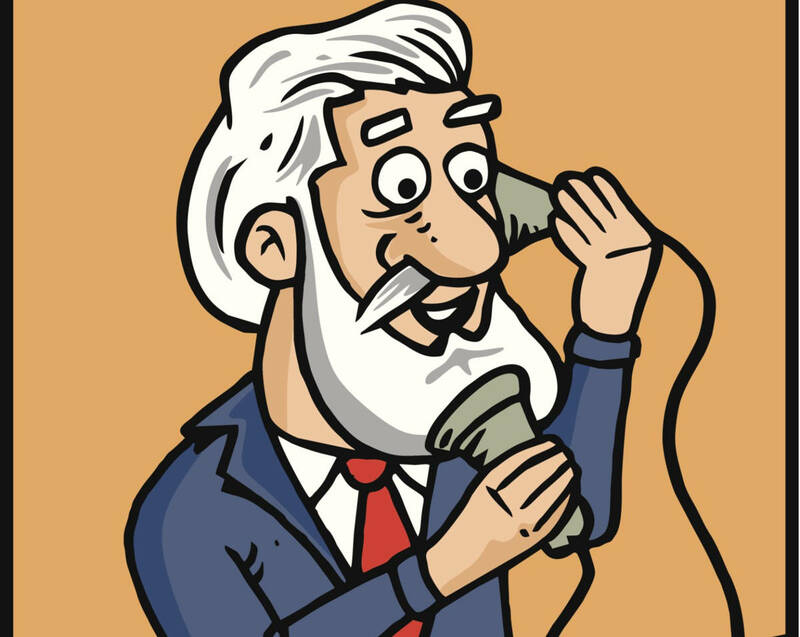 Alexander Graham Bell, a professor who trained instructors to teach speech and hearing-impaired people, was acquainted with the nuances of sound and its nature. Bell initially wanted to invent a modified telegraph that could send multiple messages or signals at the same time. During experimentation, the concept of making a device that could transmit speech through electricity, struck Bell's mind. In 1875, while experimenting, Bell heard the sound of a clock through the wire. This inspired him; and along with his assistant and electrician, Thomas A. Watson, he continued experimenting tirelessly to build an apparatus that could transmit sound. Finally, on 10th March, 1876, Bell spoke the first words through a telephone, "Mr. Watson, come here, I want to see you", and they were clearly heard on the other side. These words have been immortalized in history and the aforementioned date is marked as the official date of the invention of the telephone by Alexander Graham Bell. Along with Bell, Elisha Gray, an American scientist, was working simultaneously on the same project. Although it is universally accepted and known that Alexander Graham Bell invented it; some people still believe that it was Elisha Gray who had actually developed the concept and design. 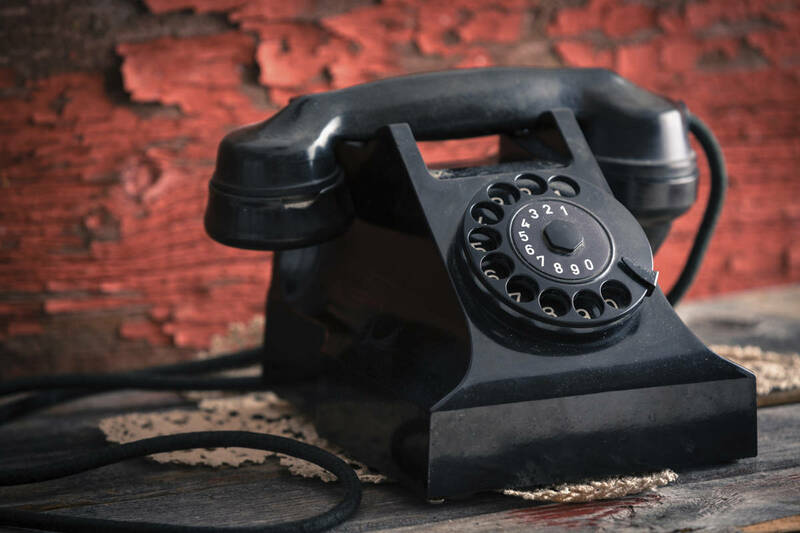 According to historical evidence, it is said that there was a difference of only a few hours between the two applying for a patent for the telephone. So, was Bell inspired by Gray's ideas or vice versa? No one knows for sure. As Alexander Graham Bell filed his patent first, he has been commonly credited with the invention. Alexander Graham Bell was decorated with several awards and honorary degrees in his lifetime for his remarkable feat. The most ironic thing about Bell's life is that although he invented the telephone, he never used it as he considered it as an intrusion in his work. Later in his life, Bell also made notable contributions to the fields of aeronautics and hydrofoils. After the invention, several public demos and exhibitions were undertaken to popularize the phone. The Bell Telephone Company was founded in 1877, and production began on a large scale. Within a year, thousands of people in America owned telephones. Other remarkable inventions related to the telephone are the rotatory dial, invented in 1892; the cordless phone, invented in 1965; and the mobile phone, invented in 1983. Here is the detailed chronology of the telephone. 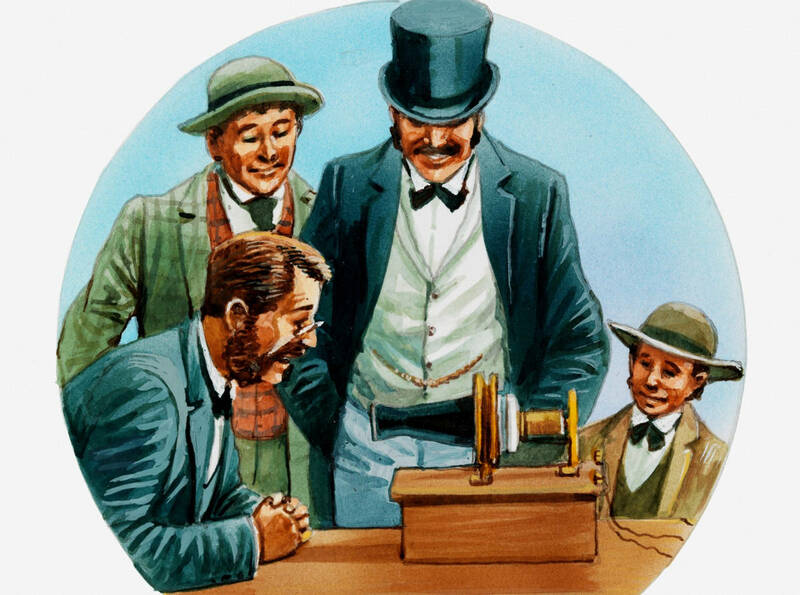 The invention of the electromagnetic telegraph is considered as the foundation on which the invention of the telephone or communication devices, in general, rested. Baron Schilling (Pavel Schilling) in Russia, invented the electromagnetic telegraph. It was used to transmit signals from one person to the other. Innocenzo Manzetti, an Italian inventor, came up with the idea of making a speaking telegraph (that later came to be known as the telephone). However, it was not until 1864, that he actually invented the device; but, did not patent it. Antonio Meucci created a device that was very similar to a telephone. There is no accurate and exact description of this device; but, it was a voice communication device. Meucci had used this device to connect his basement with his bedroom on the first floor. Due to financial and other reasons, Meucci did not apply for patent for his device. A major invention, which was very much closer to the telephone, was made by Johann Philipp Reis. His model was known as the Reis telephone. It helped in transmitting voice electrically over 100 meters. May, 1874: Elisha Gray created an electromagnet device that transmitted musical tones. June 2,1875: Alexander Graham Bell makes use of a similar device to transmit sound of a reed. February 14, 1876: Bell and Gray, both, apply for the patent for the telephone on the same day, within a couple of hours of each other (Gray first, followed by Bell). March 7, 1876: Gray fails to turn his caveat into a patent application; and hence, the patent is granted to Bell. The US patent No. 174,465 for the telephone is granted to Alexander Graham Bell. March 10, 1876: Bell makes his first telephone call, speaking the famous words over the call, "Mr. Watson, come here! I want to see you!" 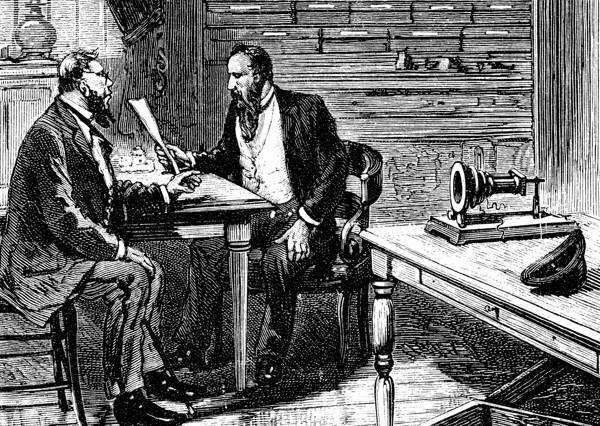 October, 1876: The first long distance telephone call is made between Cambridge and Boston. 1877: Thomas Edison invented the carbon microphone that was used in all telephones until 1980s. 1879: Connolly and McTighe patent a dial phone. February, 1880: Another remarkable invention, that of a radiophone or the photophone, was made by Alexander Graham Bell and Charles Sumner Tainter. This device transmitted sounds through a beam of light. With this device, Bell made his first wireless telephone call in April 1880. 1915: A call is made between San Francisco and New York City. This is the longest call made in the US (from one coast to the other). 1926: It was not until nearly a decade later that the first transatlantic telephone call was made from London to New York. Between the years 1927 to 2000, several 'firsts' in the field of telecommunication took place all over the world. The first videophone call, the first commercial mobile phone call, the first push-button telephone, the first cell phone call, the first caller-ID, and so on. The 21st century has seen some of the greatest creations since the basic phone, with that of the smartphone, iPhone, etc. There is still a lot of dispute and debate about the invention and inventor of the telephone. All scientists mentioned above are credited with its invention. Whatever may be the truth, we are thankful to these great men who strove hard to make communication easier and convenient today.